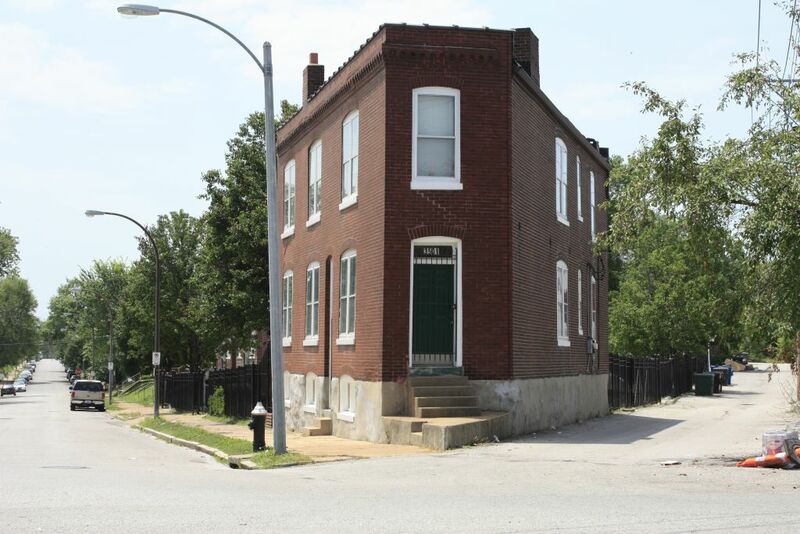 This house shows the density at which St. Louis was built. Taking into consideration the street and alley, the house is a wedged shaped pile of brick. No one would fit a house so elegantly into the street grid like this nowadays. For anyone interested, this is right off of Gravois, on Potomac, @ Tennessee (?). Lol, yeah, drove down Potomac from Schnucks today, and I caught the sign out of the corner of my eye.